As a professional trader, you are probably frustrated with the lack of flexibility and support with the trading software that you are currently using. The limited features and capabilities of most off-the-shelf trading applications (including the "professional" versions) are inadequate for professional traders. The M4 trading platform is a professional trading application featuring real-time quote screens, professional charting, real time portfolio tracking, automated trading, market scanning, back testing and much more. The best part about M4 is that the application can be customized to any extent required to meet your needs and trading style. Perhaps you trade with a proprietary volume-based or tick-based bar format, perhaps you require inter-market analysis in real time, or another trading style that is difficult or impossible to implement in any existing trading software application. The M4 trading platform removes these limitations by allowing you to specify the exact features that are built into your trading software. The next most important benefit of M4 is that you will never be left in a position where you are unable to support or maintain the software because unlike other software vendors, we provide you with complete source code. This means that you may hire any software developer at any point in time to customize M4 if you decide to make changes for any reason. You are in complete control. Automated trading via a flexible built-in scripting language. Real time alerts, market scanning and strategy back testing engine. Application may be programmed to submit orders to any destination. Any data provider may be implemented. volume-based bars, tick-based bars, custom charts, custom features and more. 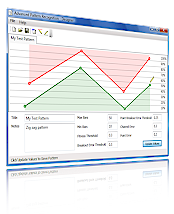 Although M4 may be used for end-of-day charting, the application was designed for the purpose of real time trading. 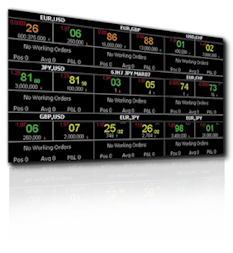 Real time stock, futures and forex screens are double buffered so they update in real time without flickering. Our quote screens are capable of handling large amounts of data in real time without causing your computer to run slowly. One of the most advanced features of M4 is the built-in TradeScript scripting language. The TradeScript scripting language allows you to write complex scripts with simulated control structure for automated trading, real time alerts, scanning, back testing and more. The TradeScript scripting language is similar to the easy-to-use MetaStock scripting language, however it is as powerful as the TradeStation EasyLanguage scripting language. A 107-page programmer's guide is provided for advanced traders. 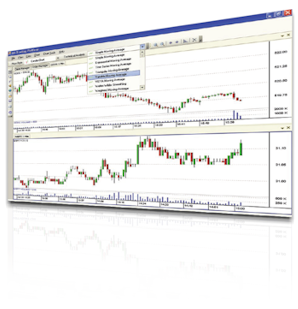 A trade-alert and automated trading screen is integrated into the M4 platform. You can create powerful trading systems that generate orders automatically. Alerts can also be sent to any Windows Mobile device. You can back test your trading strategies using the TradeScript scripting language prior to running your systems in real time. 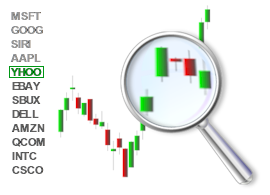 Over two dozen statistical outputs are generated along with a trade log and visual buy/sell indicators on the chart. Scans may be very complex and may be designed to search for specific patterns based on technical analysis or custom formulas. M4 features low latency trading functionality and is suitable for high frequency trading. 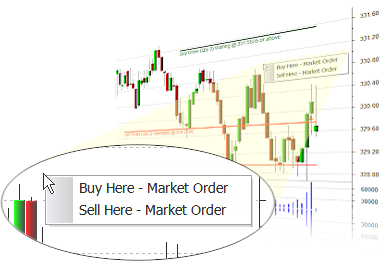 You can customize this feature to enter market orders, limit orders or even trailing stops, smart orders, etc. You can manage multiple portfolios and monitor positions in real time using one customizable screen. 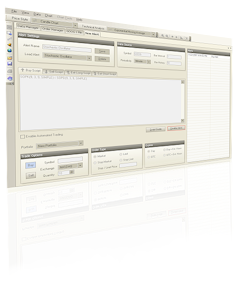 The order entry screen provides one-click order entry functionality and may be customized. Smart orders, trailing stops or other order types can be programmed with ease. Traders can develop their own Expert Advisors or select from one of the many pre-defined Expert Advisors included within the trading system database. Expert Advisors can be kept secret or may be published so that other traders can use them. Canned Expert Advisors and User Defined Expert Advisors may be aggregated into one or more consensus reports to indicate the overall buy/sell consensus for the underlying chart data. 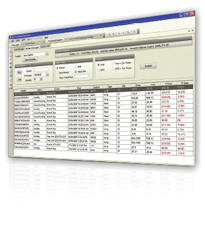 The output is presented in a text box and the overall ranking of all outputs are calculated into a ranking value that ranges between -100 for sell and +100 for buy. Orders can be routed to any destination by simply programming the order entry functions with the order entry API of your choice. Brokerages and destinations such as TD Ameritrade, MB Trading, InteractiveBrokers, Genesis Securities, Patsystems, Trading Technologies, FXCM and others including custom destinations can be programmed with ease. M4 can be programmed to accept data from any source such as eSignal, Barchart, Bloomberg and others. We provide highly available support for customizations and deployment to ensure that your platform is up and running in the shortest amount of time possible. Your platform can be up and running in as little as one week in many cases. The M4 platform requires a Windows 2000 or greater PC with Microsoft .NET 2.0 framework or greater. The included setup application will install the framework if it is not already installed. If you need to modify the source code, your development team must make the modifications in VB.NET, C# and/or VC++, or you may request our consulting group to make modifications for you at a very reasonable hourly rate.